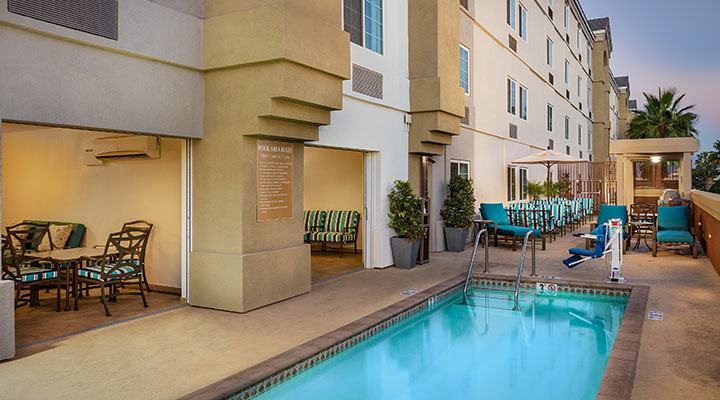 You’ll feel right at home at the apartment style suites at the Candlewood Suites near DISNEYLAND®. 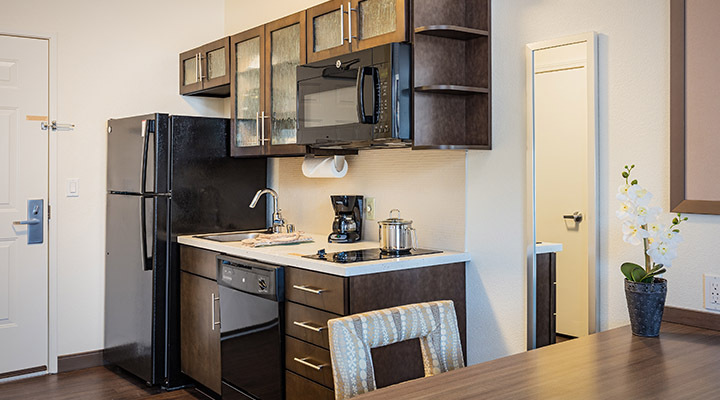 Each room comes with a full kitchen – including a dishwasher, because who wants to do dishes while on vacation? 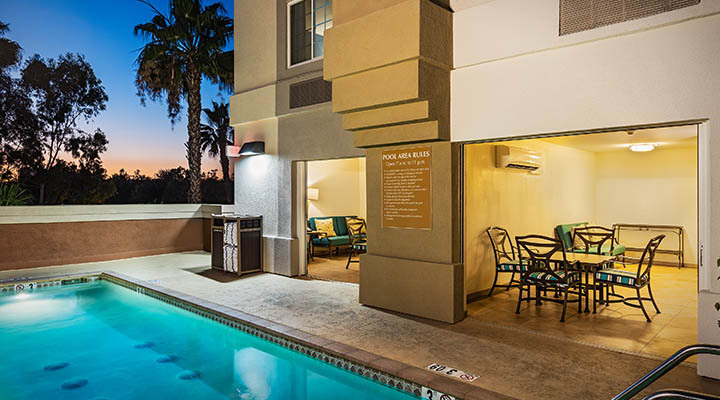 Your family will also love the outdoor heated swimming pool, community BBQ areas and in-room DVD players with free rentals. 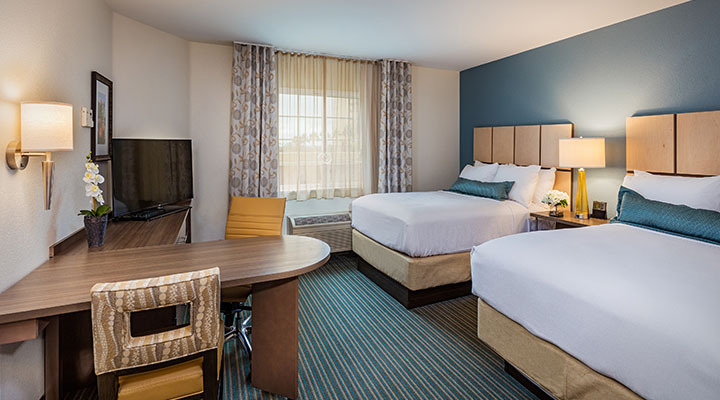 Take advantage of free parking and make yourself at home at the Candlewood Suites. I loved this hotel. 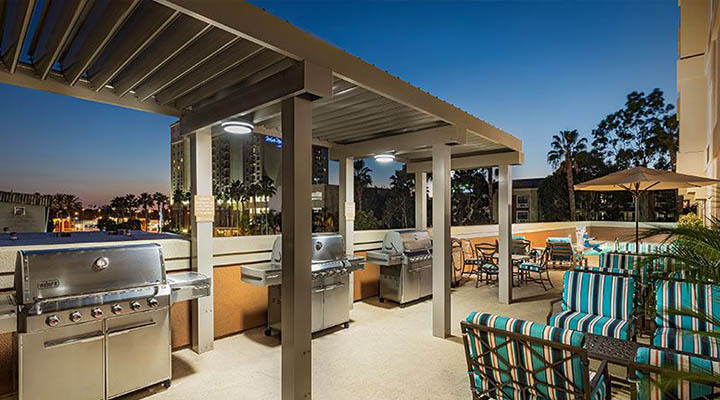 It came with everything we needed, a full kitchen with equipment we needed. Our bed was a nice size, it was just me and my boyfriend tho. Pretty comfortable and clean. Bathroom was huge, water pressure wasn’t too great but wasn’t a big deal to us. It’s fairly close fix Disneyland, we were able to walk to the city walk and then to Disney after, otherwise a Lyft ride is 7$ which isn’t bad in my opinion. We had a great stay the staff was friendly and very accommodating. I’d definitely stay here again. Hubby and I stayed here for 4 nights (10/17-21). 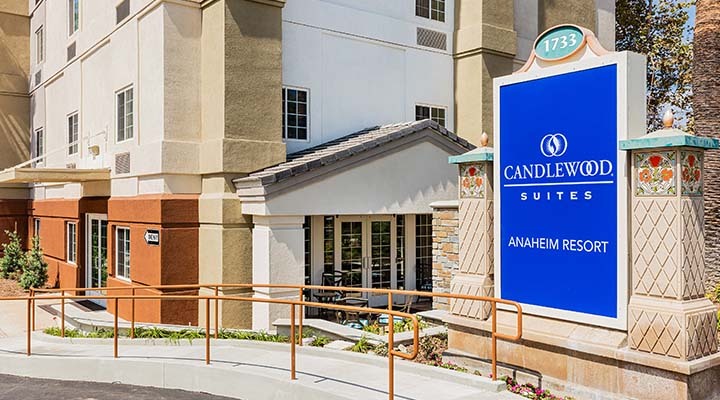 It was a last minute trip and even though we come to Anaheim a lot, we’d never stayed here. It was just us 2 adults. Pros: Spacious room. Comfy beds. Staff was friendly. Pantry prices are decent. Ice maker in room. Daily housekeeping. JR Watkins hygiene products. Right by ART bus, could walk to Disney. View of the fireworks from our room. Quick check in. Cons: Towels are really rough (like... really rough). Water pressure is low. Some noise from highway and upstairs guests. Valet worker was off (slightly inappropriate). Parking cost is high. Bathroom floor is really slippery (not when wet either). Overall, we liked it enough to stay again. I would def bring my own towels though. It hurt to use the washclothes. Direct TV on both tvs in suite. Simple nice rooms. Clean. 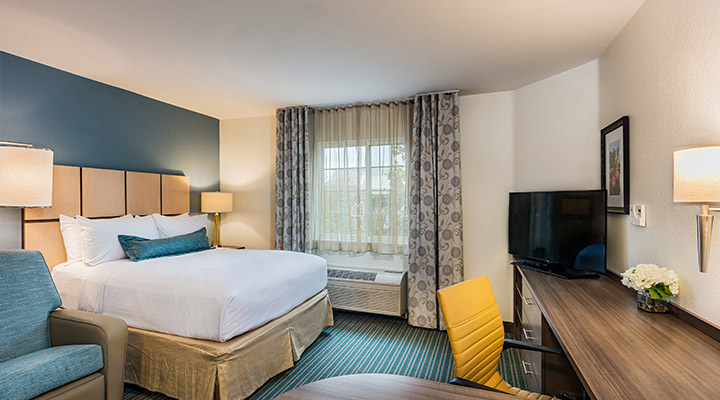 Hotel amenities are nothing special, no breakfast, 15 min walk to Disney. Right next to Anaheim Gardens mall. Great service and nice rooms!